Alaska Entrepreneur With Global Connections Launches InterBering.com To Promote Bering Strait Rail Tunnel. Alaska businessman Fyodor Soloview thinks we should look to Asia to find new opportunities to expand global trade. He enthusiastically supports a direct rail connection linking his state to Russia, exactly as the celebrated Eurotunnel connects British exporters with markets in the rest of Europe. His recently launched website http://www.InterBering.com strives to line up the resources needed to make this happen. The potentially game-changing transportation project envisioned by Soloview has in fact been the dream of leaders on both sides of the Pacific for over a century. And decades of studies have been carried out to demonstrate its feasibility, according to his website. "The Eurotunnel's success proves the potential in joining land masses with rail services carrying people and trade across borders," says Soloview. "And in all the world there is perhaps no more obvious opportunity to bring together natural resources and ready markets—than Alaska's Bering Straits." InterBering.com notes that the finished project would also yield dividends for domestic shippers of resources to and from Alaska. 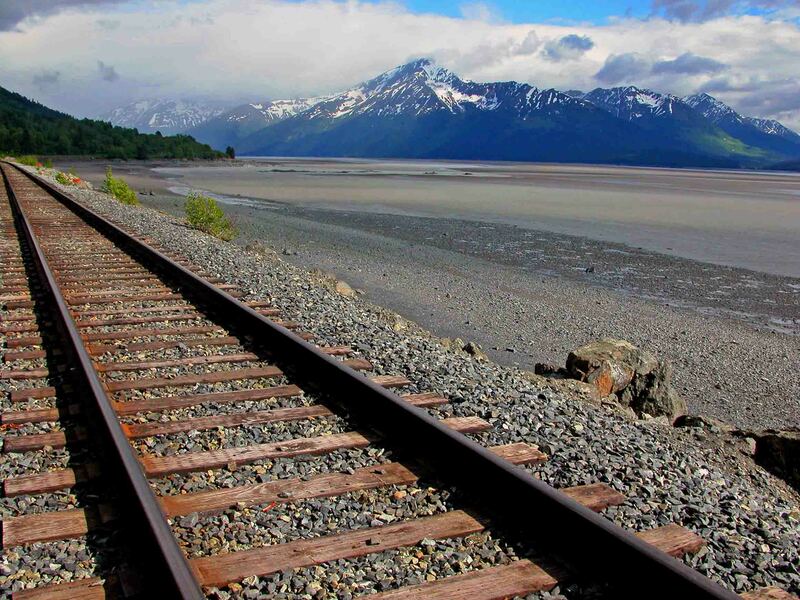 "Investment in expanded rail capacity could actually bring more of Alaska's natural resources down to the lower forty-eight states," adds Soloview. "It would result in economies which lower the cost of shipping ore, timber and other raw materials not only to Asia—but to the rest of North America as well." He notes that the Russians are already moving ahead with extending railroads to the Asian jumping-off point for any future undersea tunnel. They are also actively exploring ways of financing and constructing the tunnel link themselves. "This past year in Russia has seen two notable developments: work on a rail line extending the Trans-Siberian Railway, and Kremlin support for a $99 billion scheme linking Asia with North America—promising more trade for their Eastern Siberia region and a truly once-in-a-lifetime train journey." For more information on the project potential investors and service providers should visit http://www.InterBering.com or email soloview(at)gci(dot)net to Fyodor Soloview. 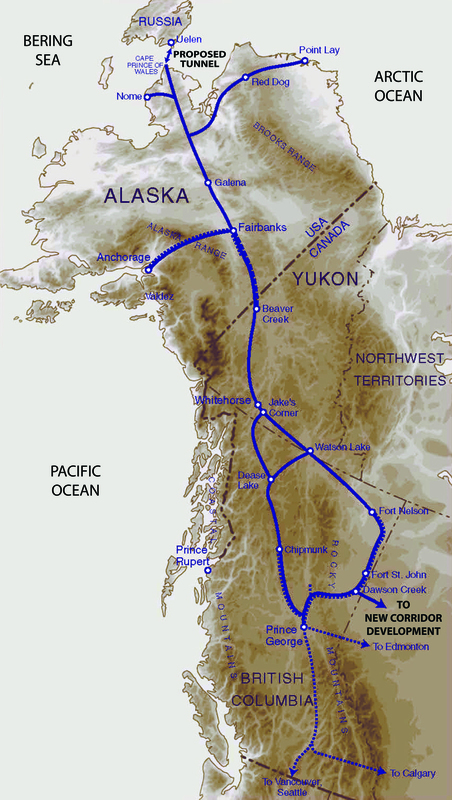 Proposed Bering Strait / Alaska-Canada Rail Connector to Lower 48 States, Plus Existing LinesWe could build a railroad several times faster because it is possible to initiate North American construction from different places at the same time: from the existing Alaska Railroad simultaneously in opposite directions, and from Canada to the north. 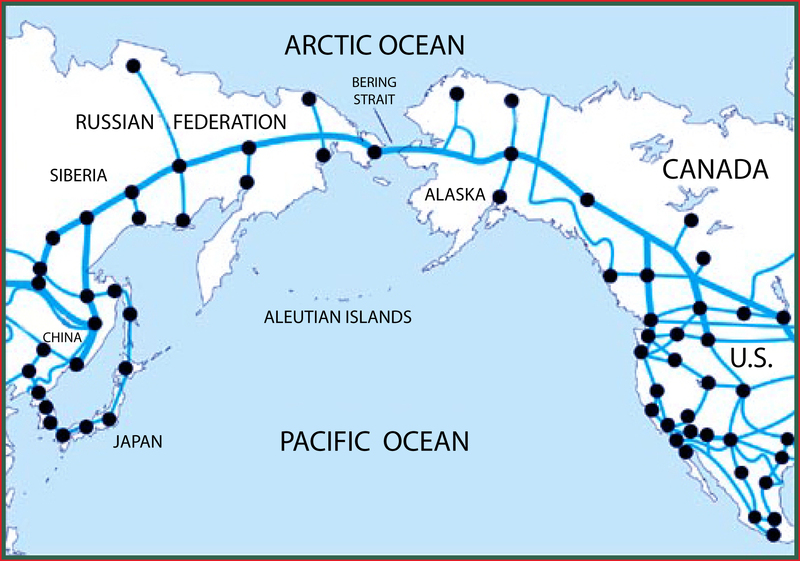 Map of projected railroads and tunnels in North America and EurasiaPlan for new railroads in Alaska (USA), Canada and Eastern Russia, and a tunnel connection between two continents under the Bering Strait. Alaska Railroad near Girdwood. Photo: Fyodor Soloview.The proposed 3,030 miles North American railroad from Fort Nelson in Canada to Cape Prince of Wales in Alaska will be connected with existing Alaska railroad near Fairbanks.